Should Parents Pry into Their Children’s Relationships? More than 5,000 Greeks form long queues outside the Mission Apostoli in this church in Athens every day. 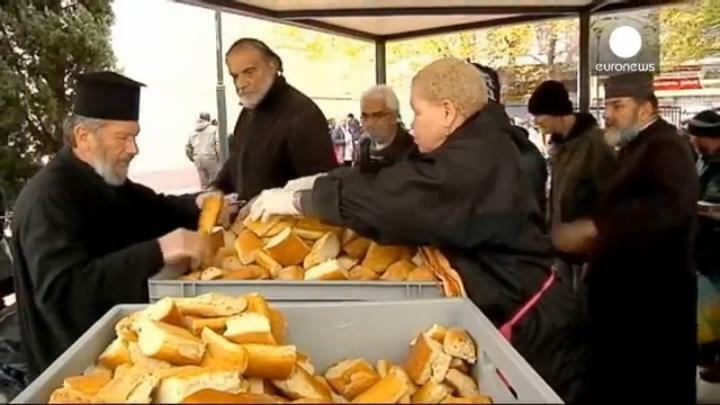 Apostoli is an NGO supported by the Greek Orthodox church that gives away food. Increasingly those people hit the hardest by austerity are relying on places like this to survive. With the middle classes now being dragged into poverty, the crisis is acute. “The volunteers are eager and motivated to help people who are in need. Any one of us could be in their place tomorrow, could be in need in the near future. We need to see that society is a like a web, and when this web breaks we are all in danger,” said Father Isidoros. Greek statistics now suggest 34.6 percent of the population lives in or close to poverty, nearly 10 percent above the EU average. This is because their jobs have gone and there is no sign of them returning any time soon. Worse could be to come; 14.1 percent of the population lives in a household at risk of unemployment. “These are ordinary people. People who have lost their jobs and had their lives turned upside down. It is estimated that more and more Greeks facing severe economic difficulties are leaning towards the help provided by the church through its NGO Mission. Thousands of people will celebrate the Christmas holidays with special meals that are being delivered over the coming days,” said euronews reporter Theodora Iliadi in Athens.